If you look back on the patient experience over the past ten years, the adoption of Electronic Health Records (EHRs) has probably had the most dramatic impact on the patient-provider relationship. Patients who used to have intimate conversations with their health care providers may now find themselves watching their provider interact with a computer screen throughout the visit. 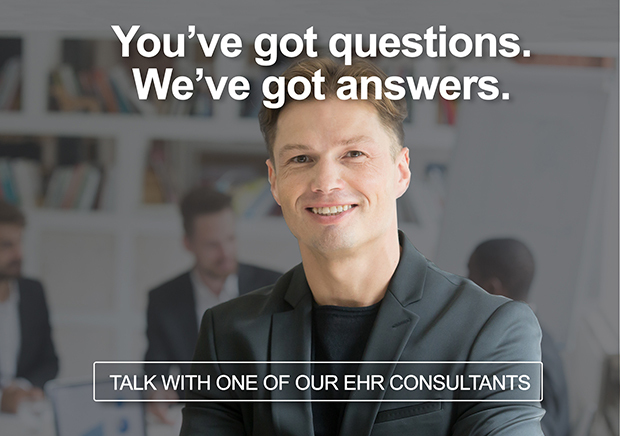 There is an ongoing debate about whether EHR systems are improving or impeding patient care. The answer is probably a bit of both. Anyone working in the EHR optimization field understands that EHRs, when used to their full potential, can increase quality and improve patient engagement and retention. At the same time, many patients have concerns about privacy and accuracy of their electronic health records. These are issues that must be addressed before fully realizing the benefits of EHRs. 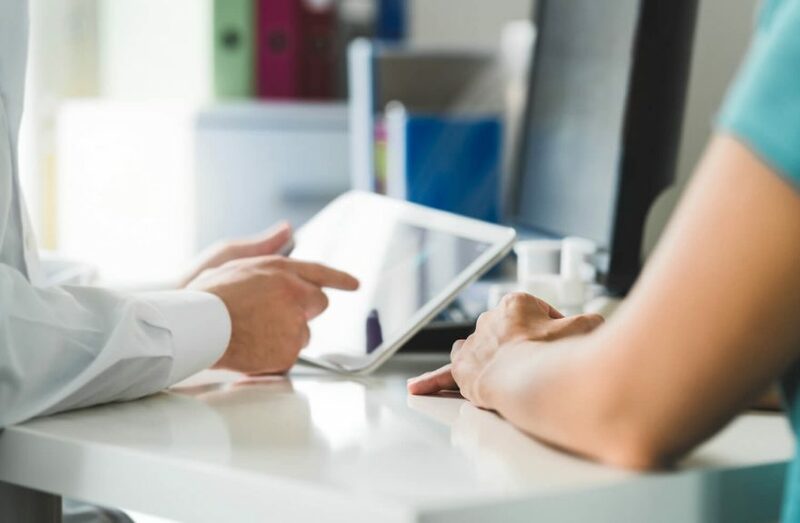 A recent report from the Kaiser Family Foundation shared some interesting statistics on EHRs and the patient experience. They found that 45 percent of patients said that EHRs have improved quality of care and 44 percent of patients felt that the EHR has improved patient-provider communication. That means over 50 percent of patients are not feeling the love for EHR systems. At least not yet. So, how can patients realize the benefits of EHR systems and other technology that is used in the typical physician practice? Like many patient engagement initiatives, it begins with education. The more you can educate and inform patients about why you are using certain technologies during their appointments, the more likely your patients will engage with the technology. Most patients are fairly tech-savvy these days. They expect their health care delivery to be quick, convenient, and effective. They want to communicate with their provider, schedule appointments, refill prescriptions, and obtain test results as efficiently as possible. If you are not using an EHR that allows for access to a patient portal through both a computer and a smart phone, your practice may be seen as a hindrance to the patients. The premise behind patient engagement is to get patients involved in their care, and ultimately, to improve compliance with recommended treatments. The development and expansion of technology has changed the ways in which providers and patients communicate. It is up to providers to leverage the available technology and teach their patients how to do the same. If you haven’t already taken advantage of your EHR vendor’s patient portal and started getting patients signed up, you should start working on this right away. Many quality and incentive programs have performance metrics attached for patients actively using the portal. Patients will be able to request prescription refills, schedule appointments, view their medical history, review test and lab results, and use the message center to communicate directly with the office in a secure fashion. Once implemented, the patient portal should reduce the number of phone calls to your office. Be prepared, though. There will be an increase in workload for staff responding to requests that come in via the patient portal. Chronic care management services allow providers to offer a higher level of care for patients who have a chronic condition. Care coordination is the overarching theme of these services, which include scheduling assistance, phone check-ins, prescription assistance, and connecting patients with community resources. This can be especially effective for patients who are older, have limited education, or have cultural or language barriers. A skilled care coordinator can engage patients in the development and implementation of their care plans. When patients have access to the patient portal, they have a direct link to their vitals and lab results allowing them to monitor the trends. This access encourages the patient to feel invested in their overall progress based on the goals that are set between the physician and patient. When patients cannot make it in to the office due to inclement weather or a limiting health condition, telehealth is a great way for them to stay connected to their provider. Many EHR platforms have a built-in telehealth function and there are also ancillary products that can work alongside your EHR system. Giving patients access to information on the conditions, disorders, and diseases they have can be essential to success in their treatment. Access to information about the prescriptions that they are taking is another important area for education. This information can be provided in the patient portal, but it is also critical for providers to discuss these topics during the patient’s visit and offer the opportunity to ask questions. Many patients want to engage in their care, but they may not know how to do so. Or, they may have had a negative experience in the past that has caused them not to “trust” the technology. It is important to continually reach out to patients and help them understand how they can engage with technology, such as a patient portal, to access their health records and communicate with their providers. The most important thing that practices can do to increase and maintain patient engagement is to be responsive. Whether a patient calls, sends an email, or requests information through the patient portal, they will easily become frustrated if no one responds to them. So, make sure your providers and office staff stay on top of communication each day.